Whole Body Hypertrophy is a versatile, whole body workout regimen that you can do at the gym, or even at home (with the right equipment), to help you build muscle, lose fat, and rev up your metabolism. This is for the trainee, either male or female, looking for a lean, sculpted physique. The workout plan balances hypertrophy and growth with wicked conditioning and metabolic optimization. This training workout plan is designed to be done five days per week, but the plan can be adapted into a four-day program, three-day program, and so on. This is one of the advantages of whole body training, ann the videos contain insight into how you can do this. 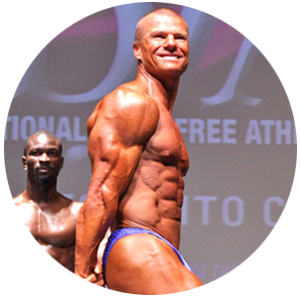 Coach Scott Abel lectures throughout the videos, as you watch Scott and world-champion powerlifter and natural bodybuilder Kevin Weiss go through a week’s worth of workouts in real time. In this way, you gain insight into real workout pace, intensity, muscle building, program design, and much more. This program, and the videos presenting it, are designed to show you what high-level training is about. There are no quick secrets or magic recipes. Instead, this is just high-level training, applied consistently and over time, to achieve remarkable results. 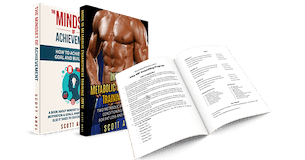 » Learn about Scott Abel’s Metabolic Enhancement Training methodology, and why it can be used to boost metabolism and build muscle at the same time. What if I don't have access to a gym? What equipment do I need? That’s the good news about Scott’s Training in the Dungeon series. In the intro video, Scott gives you a walkthrough of what he’s put in his own training “dungeon.” If you have a spare room in your house, you can create your own training room for less than the cost of many yearly gym memberships. Note: At minimum, you will need a set of adjustable dumbbells (Scott recommends the quick-to-adjust kind, such as powerblocks), a bench, a set of resistance cables (e.g. the predator), stability balls, and a few medicine balls. What if I can only workout 3 times a week, instead of 5? No problem. There are instructions in both the written program and the videos for how to customize Whole Body Hypertrophy to meet any need and lifestyle. You can do it for a different number of days each week, or you can shorten or lengthen individual workouts. If you’re busy with a family, career, and so on, then this is exactly the kind of versatile program you can use to ensure you’re consistently hitting every body part. Some weeks you hit five days, some maybe only three. I'm training for a bodybuilding competition. Can I use this program? Again, you’ll want to watch the videos carefully, as there are instructions for a variety of applications of this program. We recommend watching at least one of the videos all the way through before your first day on the program. A whole body program for five days a week? Isn't that too much? No, not with proper program design and application. “Whole Body” doesn’t mean you’ll be doing heavy deadlifts and squat 5X per week on this program. You load an unload different body parts on different days, even if you do exercises for them each day. As you watch the videos, you’ll learn the art and science of proper program design, and how it’s possible to make a program like this work for any trainee, with subtle tweaks and substitutions here and there. No DRM or weird access issues.